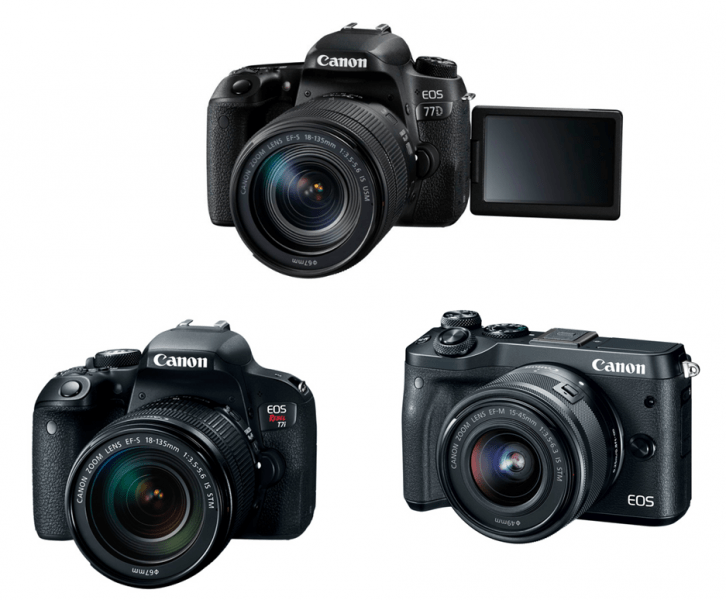 Canon has recently introduced two new members to its DSLR family, the Rebel T7i and 77D, and one new entry into its M Series, the EOS M6. The newest DSLR entries were designed to meet the different needs of both entry-level and advanced amateur photographers. It has been 30 years since the EOS System was introduced and these two new DSLR cameras highlight Canon’s commitment to giving their customers the tools they need to enjoy their passion. Canon USA Inc president and COO Yuichi Ishizuka hopes that both new DSLR entries will inspire newbie and advanced amateur shooters to capture images in a professional capacity. Both the EOS Rebel T7i and the EOS 77D come with an optical viewfinder with 45-point All Cross-type AF system which allows for more precise focusing. The camera also makes use of the Dual Pixel CMOS AF technology of Canon in live view mode which provides a lightning fast AF focusing speed of 0.03 seconds – the fastest in the world. With this in place, finding a subject, locking on them and capturing the moment is made easier. Images are also easily transferred using both models thanks to built-in WiFi, NFC and Bluetooth. A new Canon EF-S 18-55mm f/4-5.6 IS STM lens was also introduced by Canon and can be bought along with the two new DSLR entries. The lens is smaller than the EF-S 18-55 f/3.5-5.6 IS STM lens but doesn’t sacrifice image quality. 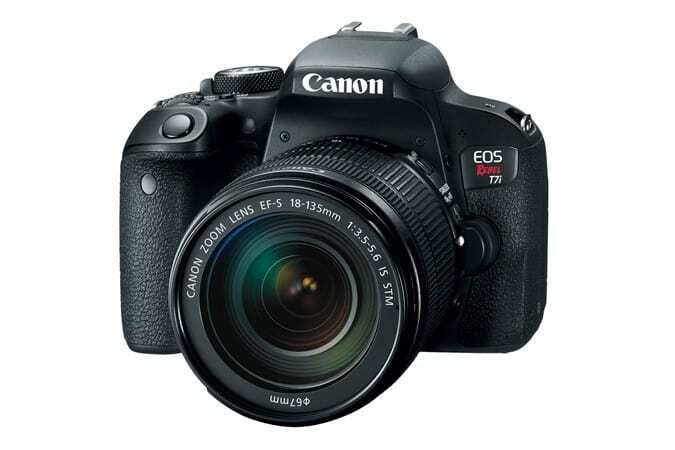 It offers image stabilization up to 45 stops of shake correction. 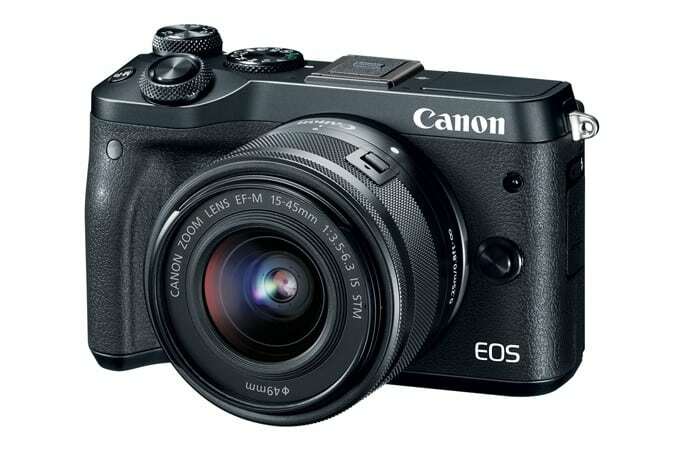 The Canon EOS M6 Interchangeable Lens Digital Camera, on the other hand, was created with the advanced enthusiast photographer in mind. Built with Canon’s 24.2-megapixel APS-C CMOS image sensor, the M6 is capable of capturing images that are both sharp and have high resolution, even in low-light conditions. The compact size of the camera also makes it ideal for photographers who want to take high-quality images but not be burdened with too many gadgets. This is Canon’s newest addition to their popular Rebel series of cameras aimed at entry-level photographers. The DSLR camera is also the first in the series to feature a 45-point All Cross-Type AF system within its Optical Viewfinder. 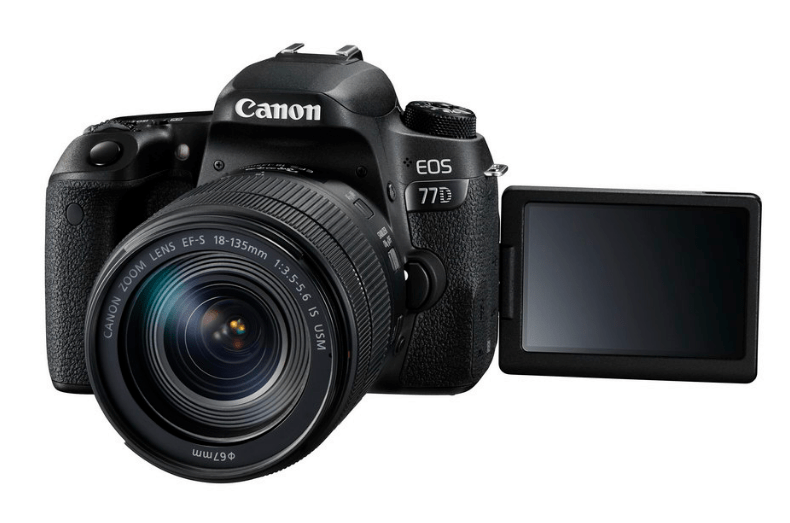 The T7i is the first in the Rebel series to feature Dual Pixel CMOS AF with Phase Detection. 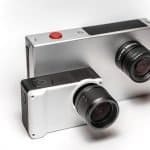 The camera is also the first in the Rebel line to come with a DIGIC 7 Image Processor. With this camera, users can use creative filters to customize the look and feel of their images and videos. The Canon EOS Revel T7i was designed with the help of input from entry-level photographers who were looking for features that took them beyond program mode. With this camera, users can see on screen just how their images are affected when they switch between modes or alter settings. The T7i is expected to be available in markets by April 2017 and will retail at $749.99 for the body only; $899 with the new EF-S 18-5mm lens; and $1,299 with the EF-S 18-135mm f/3.5-5.6 IS STM lens. The EOS 77D was designed for the advanced amateur photographer looking to increase their knowledge and enhance their experience with DSLRs. In the Canon line of cameras, this camera sits above EOS cameras. The 77D includes several advanced features like the 7650-pixel RGB+IR Metering Sensor which is found in the EOS 80D. With this camera, a solution is provided for the problem concerning the on-and-off flickering of lights found in gyms or auditoriums in the form of an Anti-Flickering shooting mode. The Canon EOS 77D also features a top LCD panel as well as a quick control dial which makes it easier to access and control camera settings. The 77D is expected by April 2017 and will retail at $899.99 for the body only; $1,049 with the new EF-S 18-5mm lens; and $1,499 with the EF-S 18-135mm f/3.5-5.6 IS STM lens. Advanced users will feel at home with the M6 thanks to its DSLR-like dials and control. The camera also has access to all the Canon EF, EF-S and EF-M interchangeable lenses. A number of EOS camera technologies have been packed into the M6 including Dual Pixel CMOS AF with Phase Detection, 24.2 Megapixel CMOS (APS-C) Sensor and DIGIC 7 Image Processor. The M6 was also built for easy sharing with several connectivity options such as WiFi, NFC and Bluetooth. Camera shake during video capture is also reduced thanks to in-camera five-axis digital image stabilization. 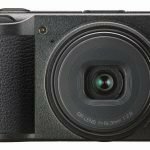 The Canon EOS M6 is expected to drop by April 2017 and will be available in both black and silver models. It will retail for $779.99 for the body alone but will also be sold as part of a body-and-lens kit with the EF-M 15-45mm/F3.5-6.3 IS STM zoom lens for $899.99, and the EF-M 18-150 f/3.5-6.3 IS STM lens for $1,279.99.